I am a little behind on A LOT of things… but..here is another fun thing I want to promote!!! 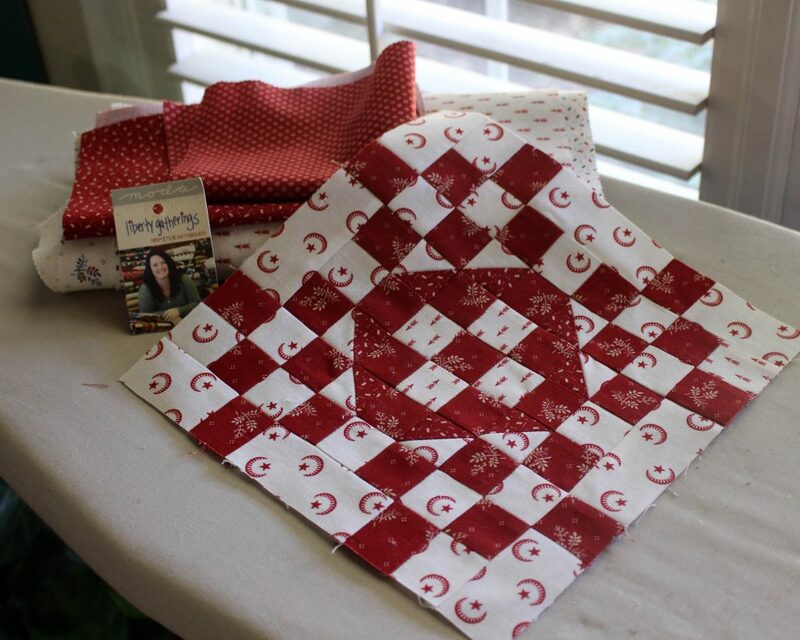 Annette from petitequilts.com is doing another one block challenge for fun! There will be prizes and I will sponsor a nice one as well but I do not want to “steal the thunder” here…go to Annett’s blog (click that red link above and it will take you there)..read all about this challenge, read about her and who is…and what she does…and get the block pattern and start stitching!!! Use only one pieced block pattern in your quilt. Lisa chose the Diamond Plaid block pattern for her block. You must use only Diamond Plaid blocks as your pieced block. You can use as many Diamond Plaid blocks as you want, and you can use any size block you want. You can even use different sizes of the block in the quilt. 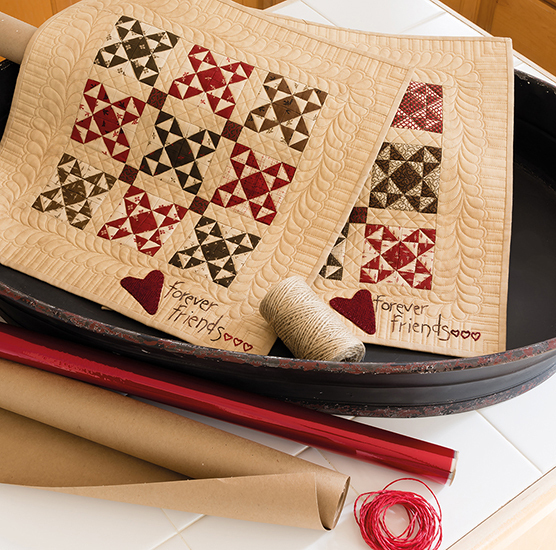 Use only Primitive Gatherings fabrics by Moda in the quilt. You can use any of the Primitive Gatherings lines of fabric. 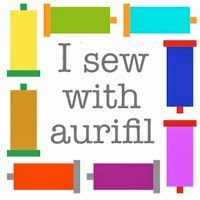 You can use 1 line or all the lines in your quilt. You can also use Moda Bella Solids if you want. Your quilt can be any size, large or small. Your quilt will look better if it is quilted and bound, but it is not required to enterthe challenge. You have 3 months to complete the quilt. It must be finished and posted to Instagram by November 30th. 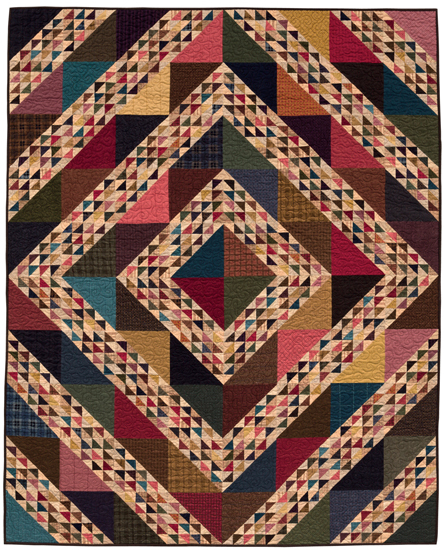 You will need to have an instagram account and you will post your finished quilt with the #lisaobc. Lisa will search that hashtag and be able to see all the quilts taking part in the challenge. Instagram. 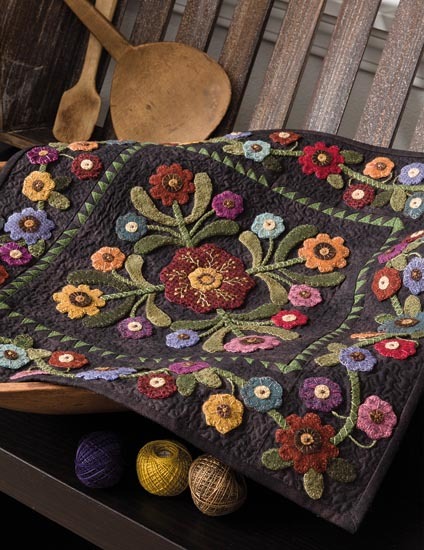 Moda has graciously offered to donate the 3 prize packages which may include precuts of Primitive Gatherings fabrics, books and patterns and other goodies from Moda. Lisa has also offered gift certificates to the winners. Once Lisa has chosen the winners, I will announce the names of the lucky winners and get the prizes sent out. Previous Post Quilt show in Virginia Beach!!! This is a really fun idea, Lisa, and I do like the block you have chosen. These are just the wrong three months for me to be taking on a deadlined project (or maybe I should say this is the wrong year–I’ve only met one deadline this whole year). I don’t have a clue how you keep up with all that goes on in your life, but I admire you for it! I will observe with interest to see the creativity everyone demonstrates as they complete this challenge. This looks like a great project to do while traveling. Thank you. Love the block! Here I go!